Nepal Network Operators Group (npNOG), a community of network operators who work in ISPs, Content Providers, Telcos and other areas of the Internet and ICT industry in Nepal will be organizing “npNOG-4” event from December 9th to December 14th, 2018. 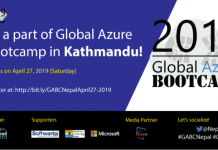 The event will have one Day conference followed by 5 days workshops in Kathmandu (Time and Venue is published on www.npnog.org). The workshops will be conducted in four tracks, 1) Network Management and Security, 2) IPv6 Deployment, 3) FTTH and 4) WiFi Management and Security. These workshops will be conducted by senior experienced professionals from Nepal and abroad. The workshops will be very helpful especially for the final year students with engineering backgrounds and aspiring ICT professionals to get practical knowledge and hands-on practice to build a career and grow in as a communication and network professionals. Students and female participants shall be provided a 25% discount to attend the event. The first-day conference will have several presentations on the current status, challenges and success stories of the Internet and Network infrastructure from national and international technical leaders from various sectors such as Telecoms, Internet Service Providers, Banks, Government, and individual ICT professionals as well. The event will set a platform for learning, knowledge sharing and developing the community as per Mr. Samit Jana, President of npNOG. 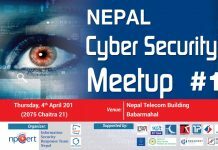 The event is co-hosted by Internet Exchange of Nepal (npIX) and supported by other Nepalese Internet Communities and organizations in Nepal.